Love diner flapjacks! They taste like mountain vacations, Sunday breakfasts out with the family, and road trips. I have tried for years to make them from scratch and they never taste like the ones from those mom and pop cafe’s you find in small towns. The closest homemade I can find is the mix I get from a mill in the Blue Ridge Mountains, the Old Hampton Store and Grist Mill. They include a pancake recipe with their stone ground mix, but since we’ve moved further west we rarely get over there to buy more. I was certain that a little bit of corn in the mix is one of the secrets, but I could never get the other ingredients figured out. 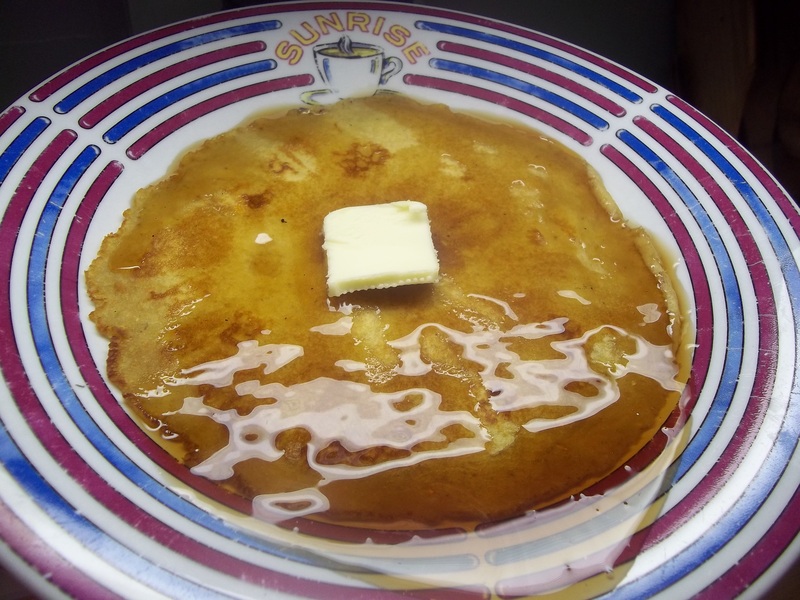 I decided to Google diner pancakes to see what I was doing wrong with mine. The secret ingredient…drum roll…is…malted milk powder. Now that I never would have come up with or figured out on my own. And guess what…it did the trick! Beat eggs into milk. Vigorously whisk in melted butter. Sift together dry ingredients. Whisk wet ingredients into dry and mix well until few lumps remain. Allow to rest 15 minutes so that the flour can be absorbed. Cook on a hot, buttered griddle until bubbles form in the center. Flip and cook 30 seconds to 1 minute on the other side. Note: This recipe made 8 plate-sized diner pancakes. If you like thicker pancakes, omit baking soda and increase baking powder to 2 tsp. and fold wet ingredients into dry just until moistened. Do not whisk out lumps but leave batter lumpy and use immediately.